July 1, 2016 July 1, 2016 / Katie V.
We have so much to share this week! 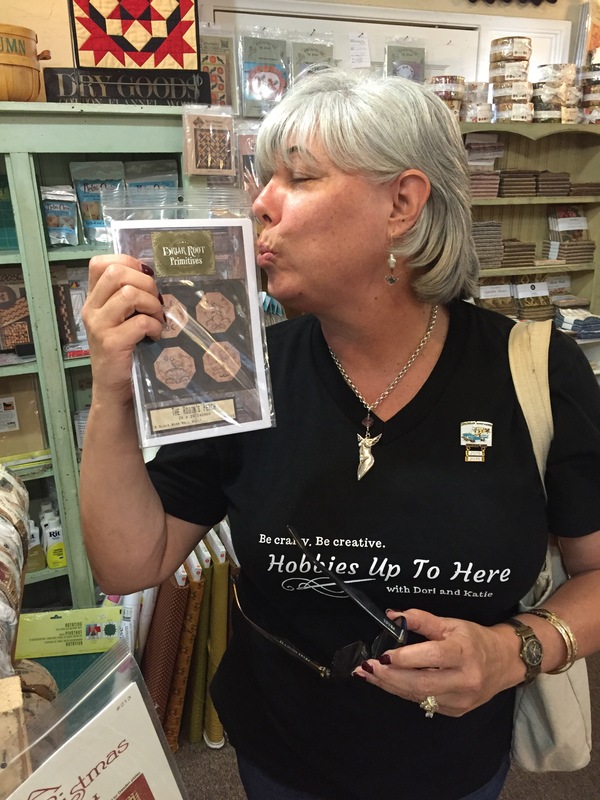 We are all done with our So Cal Quilter’s Run 2016 and there are lots of great little shops we want to share with you! If you’d like to follow along with this podcast, feel free to check out the pictures that we are talking about on our Instagram feed. 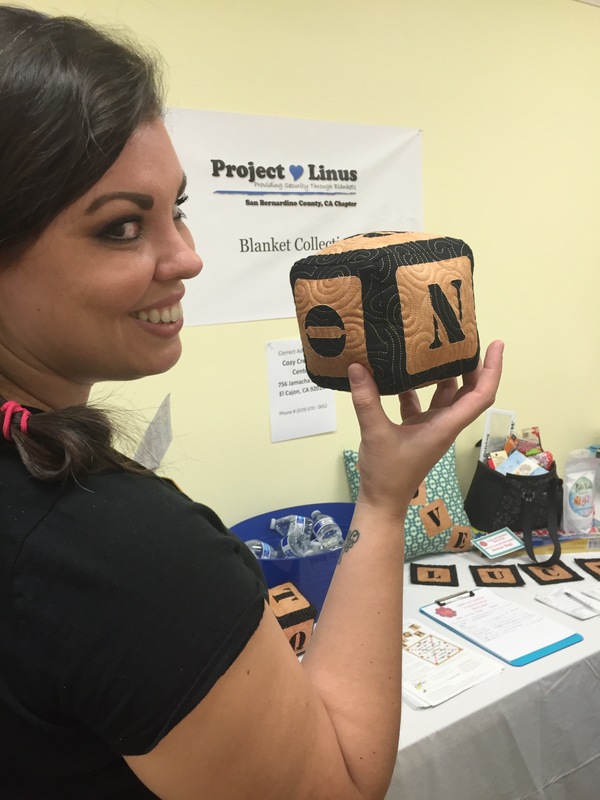 Scroll back to our first quilt shop, Quilter’s Cocoon, and play along as we reminisce about our 2016 run! Below are photos that didn’t make it to Instagram but that we still wanted to share. Enjoy! Apart of the run as to collect these laser cut letter and possibly make a quilt top out of them. But playing the game means you get randomized letters. The likelihood of getting a word randomly was a small so seeing these cute cubed pillows as an option for your letters was an inspiration. The lovely staff at the Tops & Bobbins Quilt Shopped played up their Operation theme and dressed in scrubbed. 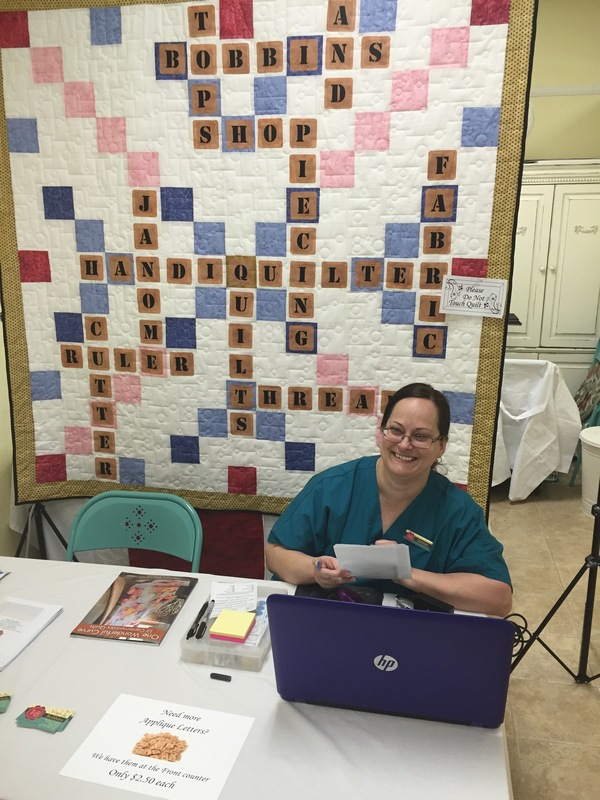 And behind our helper here is an example of a quilt top made with the letter to look like a game of Scrabble. 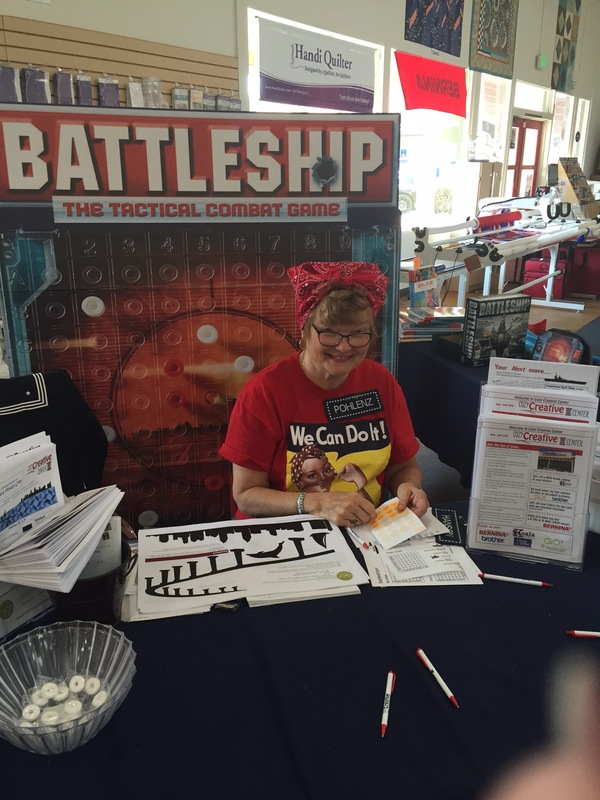 In El Cajon we were treated to a game of Battleship! The ladies here was very kind and lots of fun. They were all dressed in a navel 1940’s theme including Rosy the Riveter. While at the Quilt In A Day shop we got to peek inside one of Eleanor Burns’ studios. 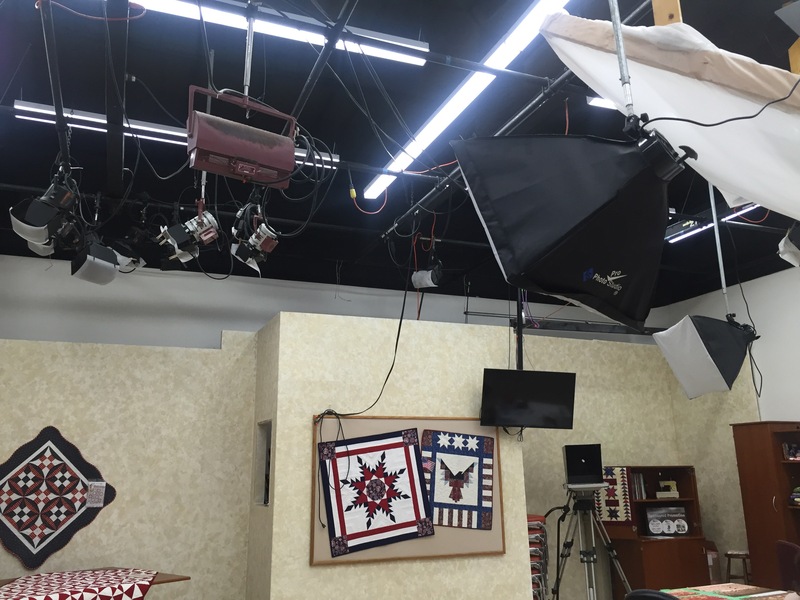 It was fascinating to see how it is set up especially in the lighting department. As an amateur Youtube video creator, I’m always on the hunt for new ways to make our videos better. 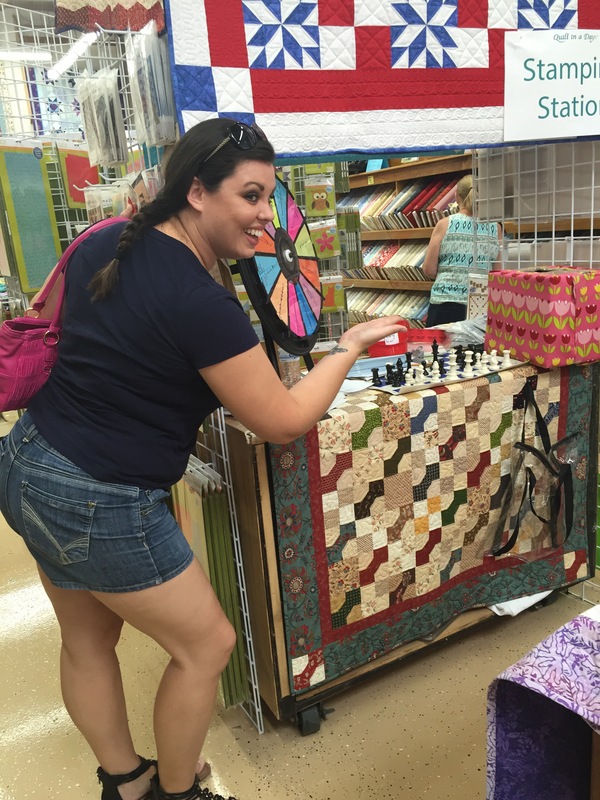 And while at this stop my number was called and I got to spin the wheel where I won 25% any item in the store. Of course I put that to good use and bought myself the Cotton + Steel fat quarter box set! At our next stop Dori won a raffle, too! When her number was called during BINGO she received a free pattern! And during this stop she picked up some lovely fabrics in a beautiful far quarter bundle along with some mini quilt patterns. We can only describe our last stop as unique, whimsical, and even magical. 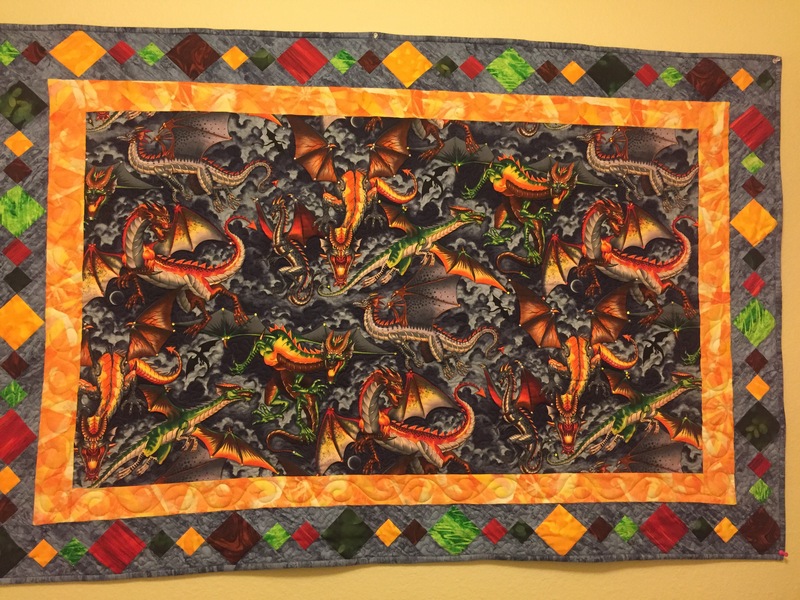 They carried lots of interesting and fantastical fabrics as seen in this dragon quilt here. I knew my boys would get a kick out of this piece so I snapped a shot and sent it to them! Well hobbyists and crafters, another year, another run is done. We’ve had a blast and traveled up and down the roads of southern California through traffic and heatwaves and ill children. But all the while enjoying every minute!